1. Can You Use Your 401(k) Funds for Purchasing a Second Home Without Tax Penalties? If you have a 401(k) retirement account, generally you can't withdraw funds from the account until you reach the age of 59 1/2 without incurring a 10 percent penalty. Taking an early distribution from a 401(k) for a home purchase is no different. There are ways to use your 401(k) funds for a down payment, but you're limited to either a loan or a hardship withdrawal. The rules for IRAs are slightly different, however, and if you have an IRA, that might be a better place to get the money. If you withdraw funds from your 401(k) to buy a house before you reach the age of 59 1/2, you will incur a penalty unless the withdrawal is a 401(k) loan. If you take a 401(k) loan instead of a withdrawal, you'll have to pay the loan back with interest, but you typically won't incur any penalty and you won't have to pay tax on the withdrawal. A 401(k) retirement account is an account set up by your employer to help you save for retirement. Under a 401(k) plan, you can take money directly from your paycheck, before the taxes come out, and deposit the funds into an investment account, where it will earn interest over time. Because the contributions you make are made before your taxes come out, they also reduce the amount of taxable income you have for the year, allowing you to defer the taxes until you retire. Once you start receiving distributions at retirement, you pay taxes on them, just as if they were ordinary income. For the 2018 tax year, you cannot contribute more than $18,500 to your 401(k). If your employer also contributes to the 401(k), either through matching or through another type of program, those amounts don't count toward the limit. In 2019, the contribution limit will increase to $19,000, and it will continue to increase over time to keep up with the cost of living. At What Age Can You Withdraw From a 401(k) Without Penalty? Generally, you can't pull money from your 401(k) until you reach the age of 59 1/2 without paying a penalty. There is an exception to that age limit, however. If you leave your job either during the year you turn 55 or after you turn 55, you can start receiving distributions early without a penalty. There is also no penalty if you take early withdrawals because you suffer from a total and permanent disability. If these exceptions don’t apply, an early withdrawal from your 401(k) is subject to a 10 percent penalty. Your 401(k) plan may have a provision that allows you to borrow from your 401(k) and repay the funds with interest back into the account. When you take out a 401(k) loan, you don't incur an early withdrawal penalty. If you want to access your 401(k) funds to purchase a house, a loan may be the only way to do it without paying the 10 percent penalty. You generally can borrow up to 50 percent of your vested account balance (but no more than $50,000). Ordinarily, you must pay this back within five years; however, when you use the money to buy your residence, you can take longer. Any funds that you borrow from your 401(k) are not taxed as distributions, because you'll be paying the money back. Many 401(k) plans provide that if you take out a 401(k) loan, your contributions are suspended while you repay the loan. This means you're no longer tucking away tax-deferred savings, and although the 401(k) loan repayment reduces your paycheck, those loan repayments are not tax-deferred contributions. The result is that you're not making any tax-deferred contributions for up to five years, so your gross income for tax purposes is higher, and you may end up seeing a higher tax bill during the repayment period. If you are permitted to make contributions while you repay the loan, you'll have a lower paycheck, because you'll be making contributions and making loan payments at the same time. A hardship withdrawal is a withdrawal from your 401(k) based upon an immediate and heavy financial need as defined by the IRS. The amount you can withdraw is limited to the amount required to meet the financial need plus pay the taxes on the withdrawal. Immediate and heavy financial need includes things such as medical expenses for you and your spouse or children, educational costs, expenses for avoiding foreclosure and eviction, or home repair costs. Hardship withdrawals also include costs related to the purchase of your principal residence, such as a down payment. If you take a hardship withdrawal to buy a house, you will be subject to the 10 percent penalty on top of the tax you'll owe. 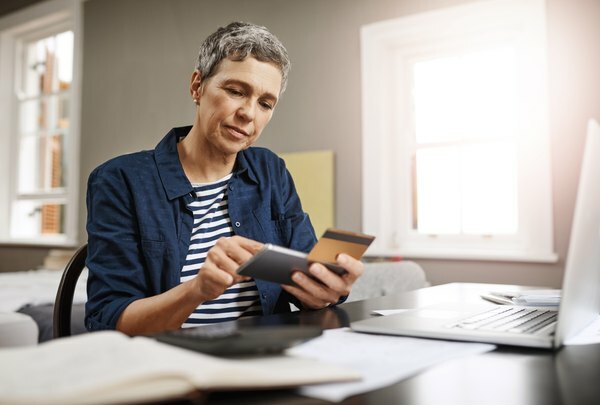 An individual retirement account is another type of retirement account that you can set up on your own without an employer (although your employer may offer you one, too). IRAs are similar in some ways to 401(k) plans, but they do differ meaningfully in many respects. IRAs, unlike 401(k) plans, have different rules for early withdrawals to buy a house. Those rules depend upon the type of IRA you have. Generally, there are two types of IRAs: the traditional IRA and the Roth IRA. A traditional IRA is funded from pre-tax dollars, just like a 401(k), and you don't pay the tax until after you retire and start receiving distributions. If you withdraw from your traditional IRA early, you are subject to a 10 percent penalty, with some exceptions. Your contribution limit for a traditional IRA for 2018 is only $5,500 per year ($6,500 if you're 50 or over), and it's going up to $6,000 for 2019 ($7,000 if you're 50 or over). However, that amount is the total for all IRAs you hold; it is not per account. A Roth IRA differs from a traditional IRA in that it is funded using post-tax dollars. The money you contribute to a Roth IRA comes from your earnings after you pay taxes. When you receive distributions after you retire, you will not owe taxes on the amounts you contributed. Not everyone can have a Roth IRA. The maximum contribution amounts that apply to traditional IRAs also apply to Roth IRAs, but the maximum amount decreases if you make over a certain amount of money. A single taxpayer who makes less than $120,000 per year can use the full maximum, but if you're single and you make $135,000 per year or more in modified adjusted gross income, you cannot contribute to a Roth IRA at all. For married individuals who file jointly, the contribution limit starts to decrease after $189,000 in total modified adjusted gross income, and married couples cannot contribute to a Roth IRA if their joint income is $199,000 or more. If you have a traditional IRA and you want to use the funds for a first-time home purchase, you can withdraw up to $10,000 without incurring the 10 percent early withdrawal penalty as long as the home purchase qualifies. If you have a Roth IRA, there is no early withdrawal penalty when you withdraw up to the amounts you've contributed, because you've already paid the taxes. However, if you dip into the interest you've earned on the account, you're subject to that $10,000 limit. For example, if you have a Roth IRA with a total value of $100,000, and $12,000 of that amount is interest earned, you can withdraw $98,000 without penalty, but you'll have to pay the 10 percent penalty on the $2,000 remaining. Investopedia: Can You Use Your IRA to Buy a House? Schwab: Can You Dip Into Your IRA to Buy a First Home? Should You? Investopedia: Can I Take My 401(k) to Buy a House? Can I Trade a 457 Investment for Gold?